Multi-municipality paid sick laws got your frazzled? We've got you covered! 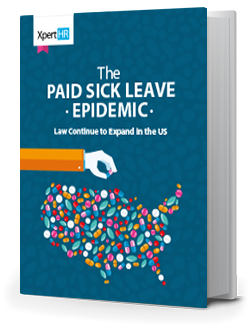 The number of paid sick leave laws has more than doubled in the past few years. As of October 1, 2016, more than 30 municipalities have passed paid sick leave laws affecting private employers in locations from Spokane, Washington to Montgomery County, Maryland and everywhere in between. Other states, including Michigan and Indiana, have banned these types of municipal paid sick leave laws. It's safe to say that the paid sick leave landscape is murky. For retail employers with staff located in multiple states or jurisdictions, monitoring and complying with these changes can be extremely daunting because of the varied requirements from state to state or city to city. Don't leave your compliance with widely varying paid sick leave laws to chance. Get the up-to-date information you need by downloading this free whitepaper.